Sri Lanka is a country in south Asia, which boasts of a rich cultural heritage spanning over 2500 years. This had been enriched by much other culture, especially from India. Many a kingdom that was established in ancient Sri Lanka, along with various cultural influxes from India has influenced in shaping the cultural heritage of Sri Lanka. Inarguably the factor, which has played the lead part in contributing to the culture along with everything traditional, is the presence of Buddhism. Ancient rulers of Sri Lanka built monuments established institutions to honor the philosophy of Buddhism. In turn this led to lesser folks following the principles advocated by Buddhism en masse. This could be described as a way of life, a pattern of thinking, which led to a self-sufficient society that engaged in agriculture as the means of living. To support agriculture an advanced irrigation system was constructed. These people pursued matters aesthetic such as dancing, music, painting, sculpting and literature in spare time. This led to the development of quaint traditional customs that are so peculiar to Sri Lanka. The concept of "Wewai Dagobai" (Wewai = Reservoir, Dagobai = A Buddhist shrine) arose from the above, establishing the links between Buddhism, culture and irrigation. Sri Lanka, officially the Democratic Socialist Republic of Sri Lanka. known as Ceylon before 1972 is an island nation in South Asia, located about 31 kilometers (18½ mi) off the southern coast of India. Originally known as Heladiva, it is home to around twenty million people. Sri Lanka is a strategic naval link between West Asia and South East Asia and has been a centre of Buddhist religion and culture from ancient times. Today, Sri Lanka is a multi-religious and multi-ethnic nation, with a fifth of the population following faiths other than Buddhism – notably Hinduism, Christianity and Islam. The Sinhalese community forms the majority of the population (around 78%), with Tamils, who are mostly concentrated in the north and east of the island, forming the largest ethnic minority. Other communities include the Muslim Moors and Malays as well as Burghers. English is widely spoken and is studied as a compulsory secondary language in school. Island has a pleasant tropical climate and average temperature of the low lands ranges between 25-30 degrees Celsius. Famous for the production and export of tea, coffee, rubber and coconuts, Sri Lanka boasts a progressive and modern industrial economy. The natural beauty of Sri Lanka’s tropical forests, beaches and landscape, as well as its rich cultural heritage make it a world famous tourist destination. Sri Lanka’s Per Capita GDP is presently US$ 900 – the highest in South Asia and the Literacy rate is 92% – the highest in South Asia and second highest in Asia. According to the Economic Intelligence Unit (EIU) Forecast 1998, Sri Lanka’s Business Environment ranks 11th in the region, and 42nd in the world, ahead of India, China, Indonesia, Vietnam and Pakistan. After over two thousand years of rule by local kingdoms, parts of Sri Lanka were colonized by Portugal and the Netherlands beginning in the 16th century, before the control of the entire country was ceded to the British Empire in 1815. During World War II Sri Lanka served as an important base for Allied forces in the fight against the Japanese Empire. A nationalist political movement arose in the country in the early 20th century, with the aim of obtaining political independence, which was eventually granted by the British after peaceful negotiations in 1948. Since then Sri Lanka has enjoyed a stable democracy and continuous economic progress, despite the ongoing conflict between the Sri Lankan government and a separatist militant group known as the Tamil Tigers in the northeastern parts of the country. In ancient times, Sri Lanka was known by a variety of names: ancient Greek geographers called it Taprobane and Arabs referred to it as Serendib (the origin of the word “serendipity”). Ceilão was the name given to Sri Lanka by the Portuguese when they arrived on the island in 1505, which was transliterated into English as Ceylon. In 1972, the official name of the country was changed to “Free, Sovereign and Independent Republic of Sri Lanka” whereas the island itself is referred to as lank?va, In 1978 it was changed to “Democratic Socialist Republic of Sri Lanka”. The current name is derived from Sanskrit word lamk?, meaning “resplendent land”, which was also the name of the island as described in the ancient Indian epics Mahabharata and the Ramayana. Brief History Paleolithic human settlements have been discovered at excavations in several cave sites in the Western Plains region and the South-western face of the Central Hills region. Anthropologists believe that some discovered burial rites and certain decorative artifacts exhibit similarities between the first inhabitants of the island and the early inhabitants of Southern India. Recent bioanthropological studies have however dismissed these links, and have placed the origin of the people to the northern parts of India. One of the first written references to the island is found in the Indian epic Ramayana, which described the emperor Ravana as monarch of the powerful kingdom of Lanka. English historian James Emerson Tennent also theorized Galle, a southern city in Sri Lanka, was the ancient seaport of Tarshish from which King Solomon is said to have drawn ivory, peacocks and other valuables. The main written accounts of the country’s history are the Buddhist chronicles of Mahavansa and Dipavamsa. Since ancient times Sri Lanka was ruled by monarchs, most notably of the Sinha royal dynasty that lasted over 2000 years. The island was also infrequently invaded by South Indian kingdoms and parts of the island were ruled intermittently by the Chola dynasty, the Pandya dynasty, the Chera dynasty and the Pallava dynasty. The island was also invaded by the kingdoms of Kalinga (modern Orissa) and those from the Malay Peninsula. Buddhism arrived from India in the 3rd century BCE, brought by Bhikkhu Mahinda, who is believed to have been the son of Mauryan emperor Ashoka. Mahinda’s mission won over the Sinhalese monarch Devanampiyatissa of Mihintale, who embraced the faith and propagated it throughout the Sinhalese population. The Buddhist kingdoms of Sri Lanka would maintain a large number of Buddhist schools and monasteries, and support the propagation of Buddhism into Southeast Asia. European colonists established a series of tea, cinnamon, rubber, sugar, coffee and indigo plantations. The British also brought a large number of indentured workers from Tamil Nadu to work in the plantation economy. The city of Colombo was established as the administrative centre, and the British established modern schools, colleges, roads and churches that brought Western-style education and culture to the native people. Increasing grievances over the denial of civil rights, mistreatment and abuse of natives by colonial authorities gave rise to a struggle for independence in the 1930s, when the Youth Leagues opposed the “Ministers’ Memorandum,” which asked the colonial authority to increase the powers of the board of ministers without granting popular representation or civil freedoms. During World War II, the island served as an important Allied military base. A large segment of the British and American fleet were deployed on the island, as were tens of thousands of soldiers committed to the war against Japan in Southeast Asia. Following the war, popular pressure for independence intensified. On February 4, 1948 the country won its independence as the Commonwealth of Ceylon. Don Stephen Senanayake became the first Prime Minister of Sri Lanka. In 1972, the country became a republic within the Commonwealth, and the name was changed to Sri Lanka. On July 21, 1960 Sirimavo Bandaranaike took office as prime minister, and became the first female head of government in post-colonial Asia and the first female prime minister in the world. The island enjoyed good relations with the United Kingdom and had the British Royal Navy stationed at Trincomalee. Since 1983, there has been on-and-off civil war, predominantly between the government and the Liberation Tigers of Tamil Eelam (LTTE, also known as the Tamil Tigers), a separatist militant (Terrorist) group who fight to create an independent state named Tamil Eelam in the North and East of the island. A teardrop-shaped island cast adrift in the Indian Ocean, Sri lanka is filled with cultural and natural treasures. Indians, Portuguese, Dutch and British have all left their marks here, making for a delightful mix of ancient cities, monuments and atmospheric colonial architecture. The first entries in the Mahavamsa ? or ?Great History? ? date back to 543BC, which coincides with the arrival of Prince Vijaya in Sri Lanka. Some 300 years later, commenced the early Anuradhapura Period, with King Devanampiya Tissa as the first ruler. It was in this period that a sapling of the sacred Bo Tree, under which the Lord Buddha attained enlightenment, was brought to Sri Lanka. The late Anuradhapura Period, which began in the year 459, saw the reign of King Kasyapa, and the construction of Sigiriya The Polonnaruawa period, witnessed the transfer of the capital from Anuradhapura to Polonnaruwa in 1073. Famed explorer, Marco Polo, arrived in Sri Lanka in the period between 1254 and 1324, and, in 1505, the Portuguese landed, and occupied the island?s coastal regions. Cultural Triangle of Sri Lanka is made of Anuradhapura, Polonnaruva, and Kandy as three corners, with Sigiriya in the center. All four towns hold the ancient assets of Sri Lanka. Cultural Triangle is the best way to know the culture and heritage of Sri Lanka. The monastery complexes at Anuradhapura, ruined palaces of Polonnaruwa, cave temple at Dambulla and the gardens of Sigiriya tell the tale of the rich history of Sri Lanka. UNESCO has taken the responsibility of preserving these sites under the Sri Lanka Cultural Triangle Project. Central Cultural Fund handles operations of the Cultural Triangle of Sri Lanka, the area formed by connecting the ancient capitals of Anuradhapura, Polonnaruwa, and Kandy with Sigiriya as the center. The Cultural Triangle that encloses places of worship, palaces, halls of learning and other ancient buildings is a major tourist attraction. Founded in 437 B.C. by King Pandukabhaya, Anuradhapura was the capital of a Sinhalese kingdom. In the 3rd century B.C. Buddhism was introduced to Sri Lanka. The city became one of the 10 largest cities on the subcontinent with vast monastery complexes and reservoirs and great stupas - some of the tallest buildings in the old world. After a Tamil invasion in 1017 AD it was abandoned in favour of Polonnarua. The sacred bo tree (Sri Maha Bodhi) grown from a cutting of the original fig tree under which the Buddha attained enlightenment is the holiest site in Anuradhapura. Planted in 288 B.C. it is the oldest documented tree in the world. Anuradhapura is a world heritage site. Some of the most interesting sites to see today include the Brazen Palace (the 1,600 stone columns are all that are left of a multi-storied residence for monks), Isurumuniya rock temple (well known for its rock carving of 'The Lovers'), the twin ponds (a bathing pool for Buddhist monks) and Thuparama Dagoba, (the oldest Dagoba on the island). Polonnaruwa, a world heritage site, became the second capital of Sri Lanka under the reign of King Vijayabahu I after he defeated the South Indian Chola invaders in 1070 A.D. It comprises the Brahmanic monuments built by the Cholas, and the ruins of the fabulous garden-city created by Parakramabahu I during the golden age of Polonnaruwa in the 12th century. Irrigation systems far superior to those of the Anuradhapura age were constructed, systems which to this day supply the water necessary for paddy cultivation during the dry season. The ruins of the Royal Palace, Gal Viharaya (four statues of Buddha carved out of solid rock), the Audience Hall, the Lotus Bath, King Parakramabahu's statue, and the Parakrama Samudraya lake are some of the sites to see. Sigiriya, the 'Lion Rock', is some 370 m high and is visible for miles around. The ruins of the capital built by King Kassapa I (477-495 A.D.) lie on the steep slopes and at the summit of this granite peak. Following Kassapa's death it reverted to being a monastery complex until about the 14th century, after which it was abandoned. The ruins were discovered in 1907 by British explorer John Still. This world heritage site, consists of the remains of an upper palace on the flat top of the rock, a mid level terrace that includes the Lion Gate and the mirror wall with its frescoes of the ‘Heavenly Maidens’, the lower palace on the slopes below the rock, and the moats, walls and gardens that extend for some hundreds of metres out from the base of the rock. Dating from the 1st century B.C. this world heritage site has been a place of pilgrimage for 22 centuries. The cave monastery, with its five sanctuaries, is the largest and best preserved cave-temple complex in Sri Lanka. Of particular importance are the Buddhist mural paintings (covering an area of 2,100 sq. m) and 157 statues. Statues of the Hindu gods Vishnu and Saman are also present, reflecting the arrival of Hinduism in Sri Lanka during the 12th century. Kandy, a major tourist destination in the country, is also called the cultural capital of Sri Lanka. The town has eminent tourist attractions like the Temple of Tooth and the Old Royal Palace. The city which came into existence in the 15th century was the last royal capital where 2500 years of royal rule culminated. Here you can tour elegant historict sites, enjoy song dances, buy keepsakes and indulge in adventure activities. Kandy is a nice transit point to tour cultural north or hilly south. The United Nations Educational, Scientific and Cultural Organization (UNESCO) was founded in 1945. 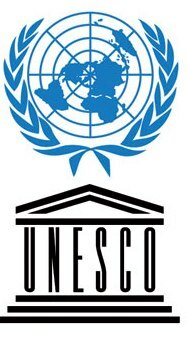 UNESCO promotes international co-operation among its Member States in the fields of education, science, culture and communication. UNESCO believes that building capacity in member states achieves a far more ambitious goal: to build peace in the minds of people. Sri Lanka became the 51st member state of UNESCO in 1949. The role of the Sri Lanka National Commission for UNESCO is to act as the focal point for UNESCO activities in Sri Lanka.